I’ve been away from updating this blog in a while but not completely away from dolly world. We moved out of state further west and have pretty much settled in and planted roots. We had rented a house when we first moved and it was very small and I didn’t have a studio. Now I have my own studio. A place I can keep the kids out of so that’s a real treat. 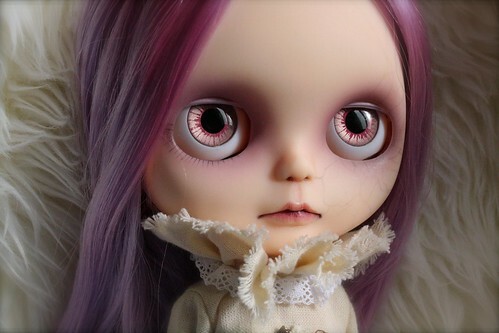 I’ve had a handful of custom Blythes that I did. My most recent are still getting some finishing touches like pull charms. I’m fresh out of pull charms so these two new girls wait for something as simple as that but otherwise I’m really pleased with how they came out. This girl is quite a stretch for me. As you can see she has something going on with the left side of her face. I don’t know what her story is. Not sure if she’s had a spell cast against her or if she’s stuck between two worlds. Who knows? But she’s pretty special. She has two sets of hand-painted chips. 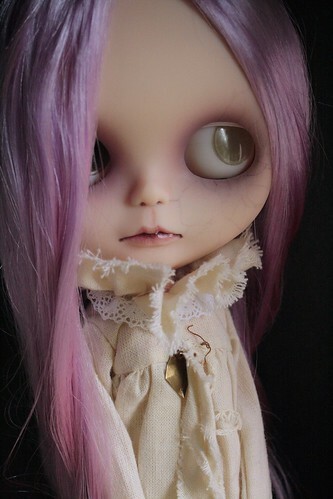 She’s a translucent factory RBL girl with gorgeous lavender hair. I’ll probably offer her for sale eventually but my fingers have been sticky lately and I just want to enjoy her for now till I’m ready to move on and let her go. I also did a mohair custom. But I think I’ll be staying away from doing re-roots for a while. I took forever to finish this scalp. I’ve just done so many re-roots in my past that I’m burnt out. All those Momoko re-root commissions from many moons ago really turned me off. 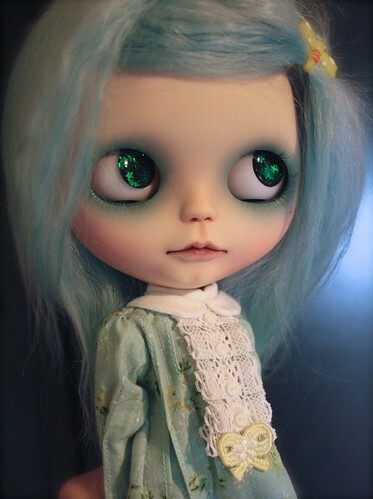 The good news is another customizer wants to trade with me where I do a face-up for her and she does a re-root for me! She enjoys them and finds them relaxing so in the future I’ll let someone else do an alpaca re-root for me! Anyway, this girl is named Estella. She’s a starry eyed girl.. Literally! 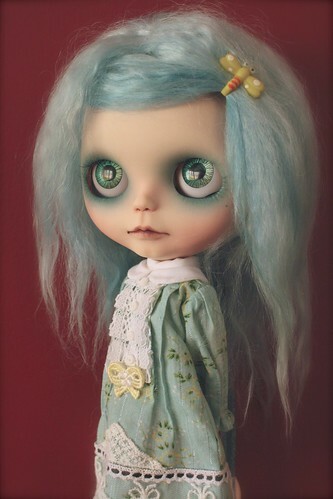 She has a set of Melly Kay resin chips which I just love on her! I gave her a set of hand painted chips also. She will be made available soon! Still getting her pull charm together. I may put her on eBay. Haven’t decided yet but open to enquiries also.